Scott Anthony Archives: THE TRUTH BEHIND THE RELEASE OF USMC SGT TAHMOORESSI FROM MEXICO: OBAMA DIDN'T HELP! THE TRUTH BEHIND THE RELEASE OF USMC SGT TAHMOORESSI FROM MEXICO: OBAMA DIDN'T HELP! Shortly after his incarceration, we couldn't help notice the lack of "urgency" by any department or agency within the Obama Administration. While we can understand some slight delays in getting Sgt. Tahmooressi released, 215 days, is anything but "prompt" or expeditiously. However, as you will soon see, that is how the State Department viewed his release. 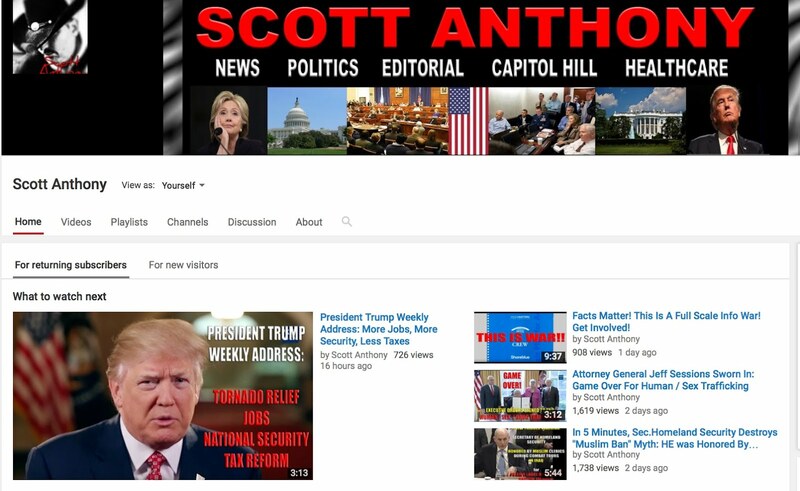 In fact, if it were not for people like Matt Lee (Associated Press), Lucas Tomlinson from Fox News Channel and multiple Independent News Associations like Flash News Network (among others), the story of Sgt. Tahmooressi would not have been getting the attention it deserved. We were honored to be a (small) part of securing his release. We have held back much of our strong opinions about how pathetically slow the U.S. Governement, in particular, President Obama, has been in attempting to free Sgt. Tahmooressi; we did not want to post too many articles expressing our opinions as we did not want anything to hamper the efforts to have him return back to the U.S. Now that he is back on American soil however, we think it's appropriate that every American view just how cavalier and nonchalant this Administration has been over the past 215 days. First, it is important to note, that President Obama and the White House, have yet to even acknowledge that Sgt. Tahmooressi has been returned home! 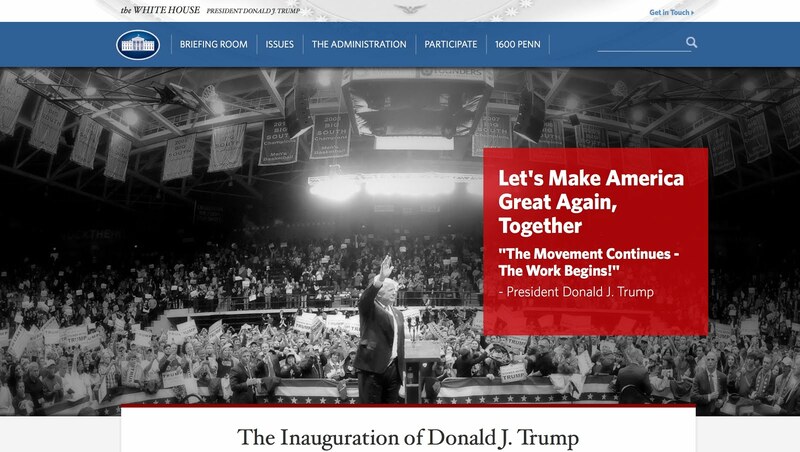 Not one statement, not one tweet, not even a blurb on the White House website to indicate this victory for Sgt. Tahmooressi, who to this day, is still an Active Reserve Marine! He has served his country meritoriously with TWO tours of duty in Afghanistan... and our "Commander-In-Chief" has YET to acknowledge the return of one of his Marines! (I suppose one needs to be a questionable radical-Islamist / turncoat to receive such recognition from our President... see the Sgt. Bowe Bergdahl case). Please read the above transcripts above closely. Not one of those transcripts, and these are all of them, provide any actual efforts at all by the State Department, or any Department in Obama's Administration to secure Tahmooressi's return. There is no mention of the Department of Defense, the Justice Department, and specifically, there is NO MENTION OF THE PRESIDENT at all! The only mention ever, was that the White House didn't have a comment, as it was being handled by the State Department. We are grateful that USMC Sgt. Tahmooressi has been returned to the United States so that he can receive appropriate treatment for his diagnosed PTSD after his tours in Afghanistan. However, we certainly hope that President Obama, nor any of those in his Administration use the release of Sgt. 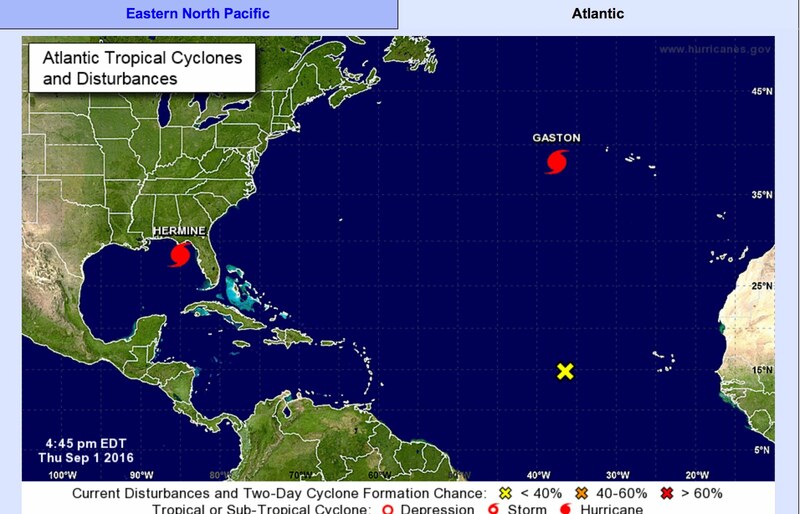 Tahmooressi as some type of political launchpad prior to the mid-term elections this week. As Commander-In-Chief, Mr. Obama should be embarrassed for his clearly absent concern for Tahmooressi. It is also concerning that our correspondence to the State Department went unanswered. As the self-touted "most transparent Administration" (per President Obama), we would have to say, no, this Administration is anything but transparent. And the fact that it took Fox News, Flash News Network, Montel Williams, a retired Governor and a handful of members of Congress to do what the President or Secretary of State could have done in a few phone calls, is disturbing. We will be following up on this matter, particularly since the United States has provided Mexico with millions in funds for legal reform, however, for now, we will just celebrate the return of this U.S. Marine, and hope that he finally gets the care that he needs and deserves. FNN VIDEO: "What Did Sgt. Tahmooressi Do To You Mr. President"
From Flash News Network: THANK YOU REP. SALMON! This is how to appropriately acknowledge Sgt. Tahmooressi's release and return home! U.S. Rep. Chris Smith (NJ-04) issued a warm welcome to former U.S. Marine Sgt. 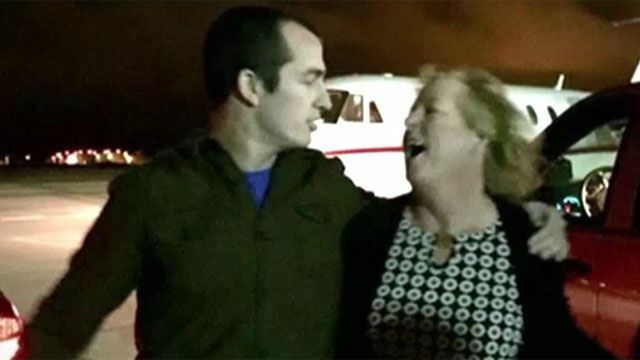 Andrew Tahmooressi, released last night after an imprisonment in Mexico that lasted for 214 days. “Sgt. Tahmooressi has served his country faithfully and fought for the freedom of others, but he was wrongly held in Mexico,” said Smith, who participated at a hearing on Capitol Hill Oct. 1 entitled Sergeant Andrew Tahmooressi: Our Marine in Mexican Custody. “I am glad he is home with his family. And while I welcome his release with joy, it is long overdue.” Click here to watch an October 2014 video of Smith at the congressional hearing calling for the U.S. government to more actively facilitate his release. The House committee heard testimony from Sgt. Tahmooressi’s mother Jill Tahmooressi; Lt. Commander Montel B. Williams, USN, (Retired); Mr. Pete Hegseth, CEO of the Concerned Veterans for America; and Sgt. Robert Buchanan, USMC, (Retired) who served with Sgt. Tahmooressi in Afghanistan. At the hearing Mrs. Tahmooressi described her son as "privileged to serve the war on terror" and "willing to lose his life for freedom, liberty and elimination of oppression." According to various accounts, the Marine veteran accidentally drove over the U.S.-Mexican border and was not allowed to reverse his vehicle. According to news reports, a Mexican judge released the former Marine Friday for humanitarian reasons on a recommendation from the Mexican Attorney General's Office. All witnesses expressed concerns for the safety and wellbeing of Sgt. Tahmooressi and the inaction on the part of this Administration to make any effort to contact the family in their time of need or to address this injustice directly with the Government of Mexico. Smith stressed how Sgt. Tahmooressi’s lengthy incarceration and declining health could have long-term negative consequences for his wellbeing. Smith has worked on numerous cases where Americans citizens have been unjustly incarcerated overseas, including the imprisonment of American Jacob Ostreicher in Bolivia, or wrongfully separated from their loved ones, as in the case of David Goldman of New Jersey and his son Sean. Smith is a co-sponsor of H Res 620, a resolution calling upon the President to utilize the full authority of his office to secure the release of Sgt. Tahmooressi, and for the Government of Mexico to return him to the United States with all possible speed so he can receive the appropriate medical assistance. FROM FLASH NEWS NETWORK: Thank you Rep. Chris Smith for your efforts to get Sgt. Tahmooressi home!